So, it’s been a long time since I blogged, and with good reason! 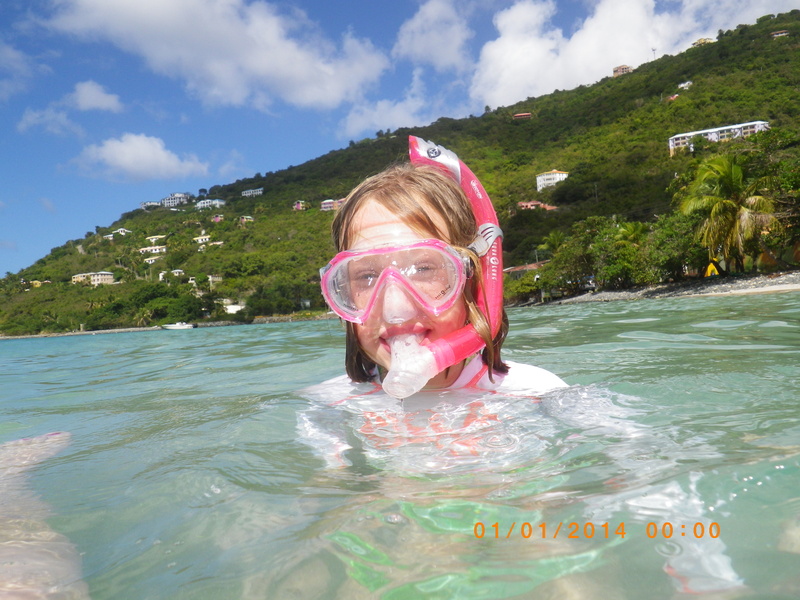 My family has recently picked up and moved to another country… as in Tortola in the British Virgin Islands! If you’ve read any of my previous blogs, you’ll know that I was having a pretty tough time letting go of all of my belongings and trying to decide what to take and what to leave behind. It got even harder when my Hubbs called one night and said, “Instead of shipping a bunch of boxes over here, why don’t you just see what you can fit into your suitcases and we’ll replace what we really need.” At first I thought that was a great idea! Then, I realized I had to go back through all of my things that I had set aside under the “SHIP” sign. It didn’t look like a mountain before, but looking back at it again, it gave Mt. Kilimanjaro a run for her money! In the end, with the help of my wonderful mother, I was able to get the essentials into 4 suitcases and 4 carry-ons, with the promise that a few extra items would be shipped down for me in a week or two. And then, after a few parties and well wishes from loved one,we were on our way to our new adventure! Three planes and one water ferry later (and more than a few hours late), we arrived in our new home! It was dark when we landed, so we couldn’t see much, except the stars! There were billions of them! There were so many stars that it was impossible to find the familiar constellations that I always looked for back home! It was as if God had been sprinkling the skies with stars that He had in a jar and He must have tripped and got them everywhere!!! They were exceptional! My Hubbs awaited us just beyond the customs booth. We tiredly fell into his waiting arms and he asked if we were hungry and if we wanted to go to his restaurant and eat. We were both exhausted and famished. We’d had no time to get anything to eat during our travels, as we ran (literally) from plane to plane. Luckily, the restaurant was just across the street, so we didn’t have far to go. We loaded our luggage into a closet and headed for our table. The staff was very friendly and they all came up to introduce themselves. My Hubb’s bosses (a lovely married couple) came and chatted with us a bit. The more I spoke to them, the more I saw what my husband had seen on his first trip. They were very kind and hospitable. They were warm and welcoming and seemed honestly interested in my daughter and me. I saw that my husband was definitely in good hands there. After a delicious meal of grouper and fries, followed by chocolate gelato, we sat on a nearby couch to wait for the Hubbs to finish his shift. Our daughter ended up falling asleep in my lap and I patiently waited, as I listened to my fellow patrons enjoying their meals and fought with Mr. Sandman to keep myself awake. It was a good thing our daughter had taken a nap, because her daddy had gotten her a Christmas gift that would not wait until morning! We took a taxi up a mountain to our house, and as we approached the driveway, my Hubbs turns to me and says, “You’re gonna love this!” I look out the front window and it was as if the world just fell away, and the driver was still moving ahead! Our driveway was literally so steep that I couldn’t even see it before us for a few moments. It was actually terrifying, and my wonderful Hubbs thought it was the funniest thing in the world. If you ever need a good work out, come trek up and down my drive way a few times. That will work you out! Once in the house, my Hubbs asks our daughter if she’s ready for her first gift. She tiredly rubs her eyes and nods her sleepy head. He opens the bathroom door and out bounds this tiny, adorable dog! Marley is her name. Our daughter squeals and, of course, is instantly wide awake! It took an hour or more to get her to sleep after that. The next morning, I woke before anyone else in the house, which is typical. Can’t I ever just sleep in?! I guess it’s just not in the cards for me. I’m a doer, not a sleeper, I suppose. I went out onto the porch and got the first views of our new surroundings. We’re up so high on the mountain, you can see forever! The water is a brilliant turquoise blue, and there are all kinds of ships out on the water: cruise ships, pirate ships, catamarans, and smaller, personal boats. We’d traded in parking lots for boat docks. The air was fresh and the breeze was wonderful! The lush green foliage blended so beautifully to make a picture perfect scene. It looked like something out of a travel magazine. My husband took us to a beach that day and we washed away the chill of the 11 degree weather we’d run from. We swam in the clear, blue waters and basked in the sun as we hunted for shells on the beach. I had left the house that morning with snow white skin, and returned that afternoon with red lobster skin. It was a small price to pay for the wonderful memories we had made that day. I still have my worries and it’s still all so new and different. I’m still missing my life back in Cincinnati, but this new life is so promising! There are so many new things to explore, people to meet, places to go, wildlife that we haven’t seen. It’s an adventure for sure, and one that I am finally ready to take on! I have so much more that I want to tell you, but for now, I think I’ve made you jealous enough. Until next time….